Suzuki Transmission Dealer In San Antonio, Texas -Got Suzuki Transmission Problems? Your transmission is one of the most important parts of your vehicle. Suzuki Transmissions tend to be one of the most dependable on the market. Discount Transmissions saves you money on Suzuki Transmission Repair Service. When you got Suzuki Transmission Problems or just need a Transmission Fluid Change we save you money. The Transmission King in San Antonio, Texas has over 75 Years of Experience in the Auto Repair and Transmission Repair Business. Our team of hardworking Certified Auto Technicians and Transmission Mechanics have the knowledge, products, parts, tools and technology to service and repair your Suzuki Transmission right the first time at the best price. 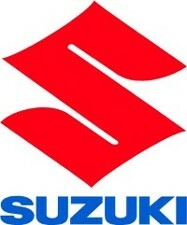 Are You Experiencing Suzuki Transmission Problems? When you have a Suzuki Transmission Problem call 210-239-1600. We offer a Transmission Performance Check that will pinpoint any possible problems with your Transmission or Gearbox. If you’ve had your car or truck checked by another Auto Repair Shop, Dealership or Transmission Shop and want a Second Opinion call 210-239-1600 we offer a Free 2nd Opinion and Free Transmission Estimates. 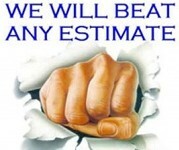 We understand that drivers want to have their automobile fixed right and save money. Best Transmission Deals at the Best Prices and “We Will Meet or Beat Any Written Transmission Estimate”. Before you agree to any Transmission Repair Service call Discount Transmissions in San Antonio, TX for your Free 2nd Opinion and Free Transmission Estimate it may save you time and money on your next transmision repair service. If you want Guaranteed Transmision Repair Service from a company you can trust, look to Discount Transmissions. We are a Certified Transmission Rebuilder Shop that stands behind our Transmissions with industry-leading transmission warranty up to a 3 Year / Unlimited Mile Parts & Labor Nationwide Transmission Warranty. This type of warranty protection gives our transmission customers peace of mind and protection coast to coast nationwide (ask for more details).